America has gone garden crazy, so author Judy Young’s latest picture book, Digger and Daisy Plant a Garden, has arrived at the perfect time. In the book, “spring has sprung” and ever-conscientious Daisy suggests planting a garden with things that will be good to eat. The adorable brother-and-sister team dig holes and drop in seeds, then they wait for the good stuff to pop up from the earth. While they wait, adventurous little Digger plants a surprise crop that doesn’t quite develop like the other plants. While the others go from mounds of dirt to shy green leaves to shimmering flowering plants, Digger’s “surprise” never shows itself until it’s time to harvest the crops. The wait for his surprise to appear builds a pleasant amount of tension and suspense for young readers. 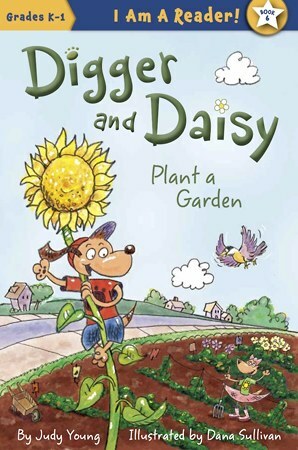 Digger and Daisy Plant a Garden is a humorous installment for young children just learning the basics of gardening. They see the work that is involved (digging the dirt and planting the seeds) and the garden’s steady progression from shy little leaves to tall stems to ripe and colorful vegetables ready to be eaten. But more importantly, they learn where their vegetables come from—knowledge that has been all but lost over the decades as mankind has become more and more dependent upon others (namely supermarkets) and less dependent upon their farming skills to meet their nutritional needs. There is a clever hand-drawn sketch of the garden layout at the beginning of the book—a subliminal suggestion for visualizing how to get started planning one’s own garden. 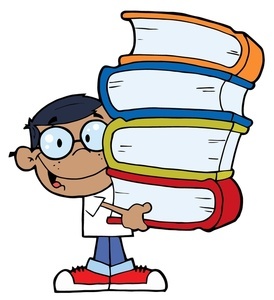 The text provides needed verbal repetition for the emerging reader. For example, each time Daisy remarks on the progress of the lettuce, tomatoes or peppers, she ends the sentence with “It is good to eat.” This reinforces word recognition and word meaning. Another clever use of age-appropriate text is when the author hints about the passage of time with four simple words: “More days go by.” These words help young readers understand that it takes patience to grow a garden; that the plants won’t come up overnight, but they will come up. 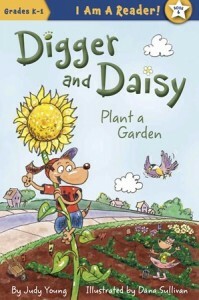 The words are reinforced by artist Dana Sullivan’s adorable pictures that show Digger and Daisy working tirelessly in the garden and the plants getting taller and taller. This book is great for silent or directed reading. 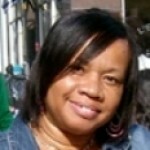 It is also a great handbook for elementary school gardening classes, or for inclusion in a child’s private library.